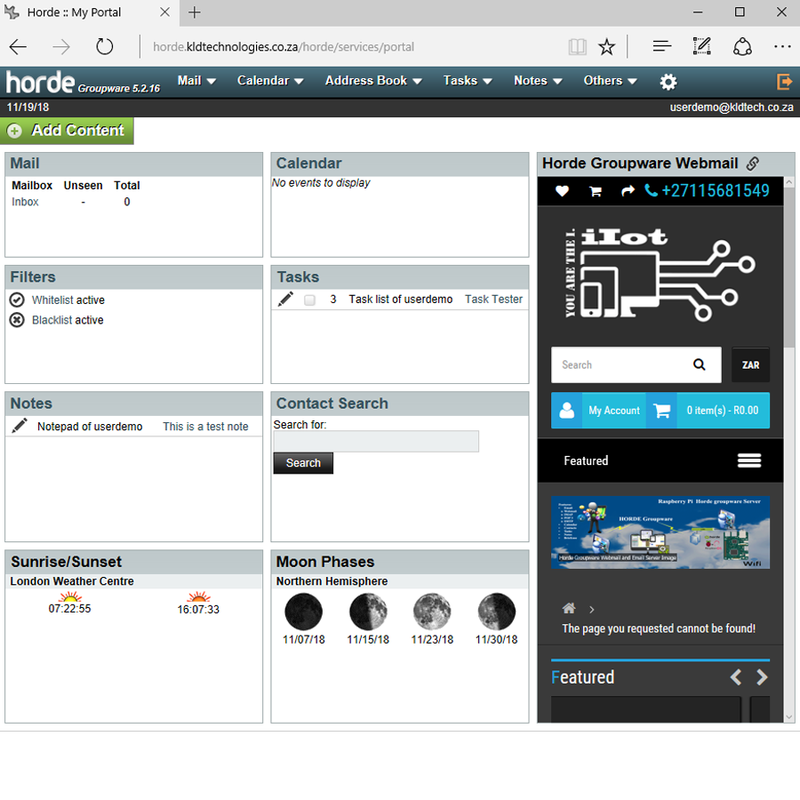 eBook How to install Horde Groupware Webmail edition on Raspberry Pi 3 is a 28 page eBook containing a detailed easy to follow step-by-step DIY guide on how to install Horde Groupware Webmail edition and configure a Raspberry Pi 3 Model B as a standalone Groupware and Email server. Bundled products enhance any additional configuration for network (Wi-Fi and LAN, WAN) and storage (USB, NAS and CIFS) and adds optional Arduino UNO R3 compatible code to create an email gateway to publish data to topics on MQTT broker service. 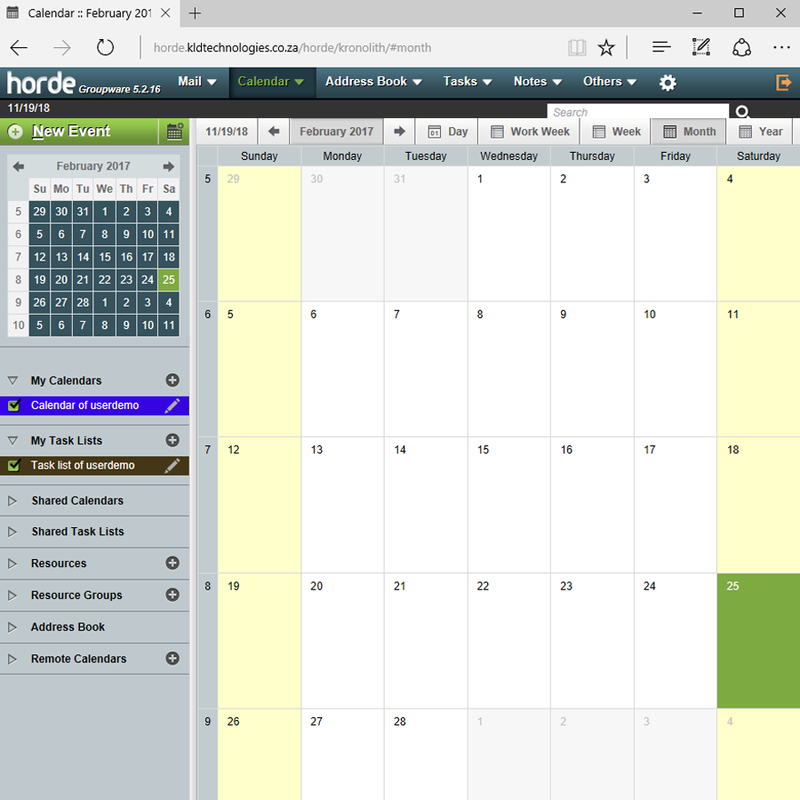 This will turn your Raspberry Pi 3 model B into LAN, Wi-Fi, capable, Email Server that supports multi-tenanted IMAP, POP3, SMTP, **ActiveSync access so users can read, send and organize email messages and manage and share calendars, contacts, tasks and notes with compliant components from Horde projects. Free bundled Raspberry Pi Advanced Configuration Menu which is a menu driven easy setup utility for any Raspberry Pi network (Wi-Fi and LAN, WAN) and storage (USB, NAS and CIFS) configuration. 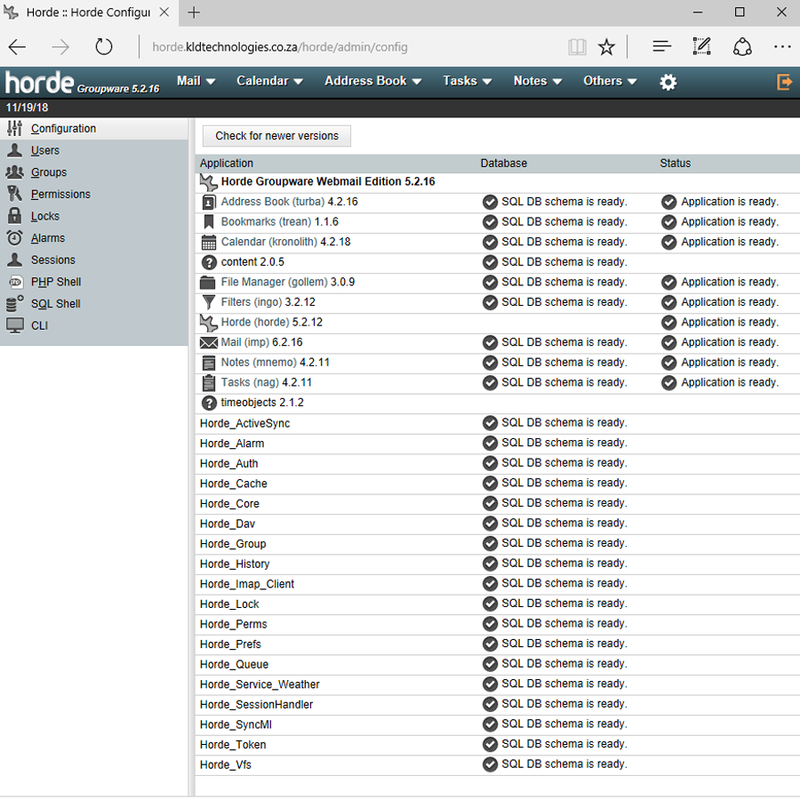 Simply click Add to Cart to add the latest or newest Horde Groupware Server version. 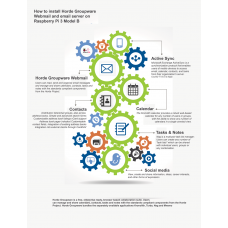 A coherent outcomes focused and exhaustive eBook written in English containing 28 pages of step by step guide on install Horde Groupware Webmail edition and configure a Raspberry Pi 3 Model B as a standalone Groupware and Email server complete to configuring additional features IMAP-courier, POP-courier, Postfix, Dovecot, Smarthost maildelivery. 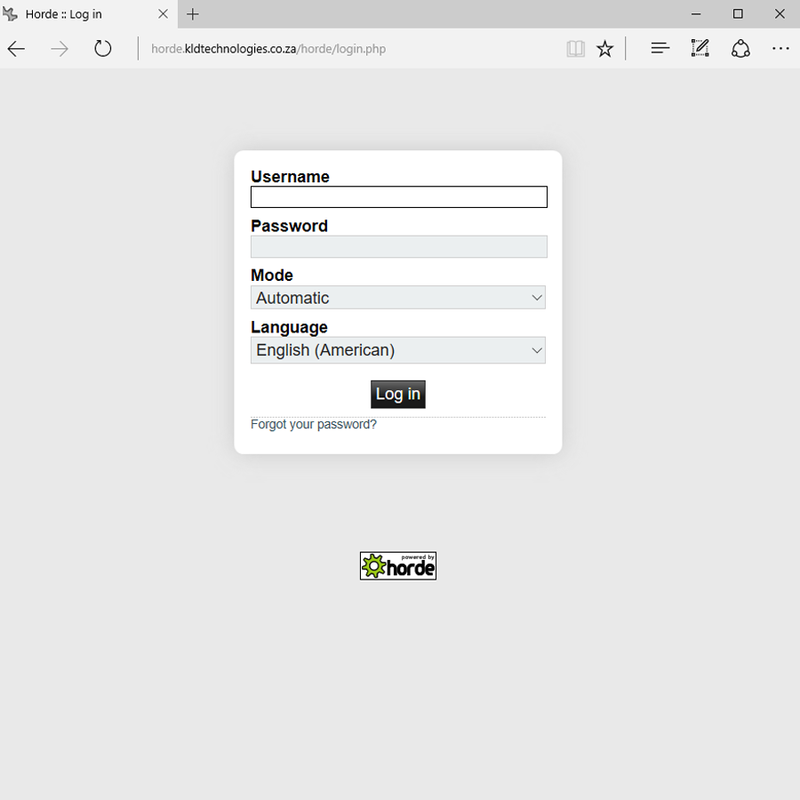 • Installation of Minimal or "Headless" Raspbian Jessie Lite provides a small footprint allowing more space for data storage. 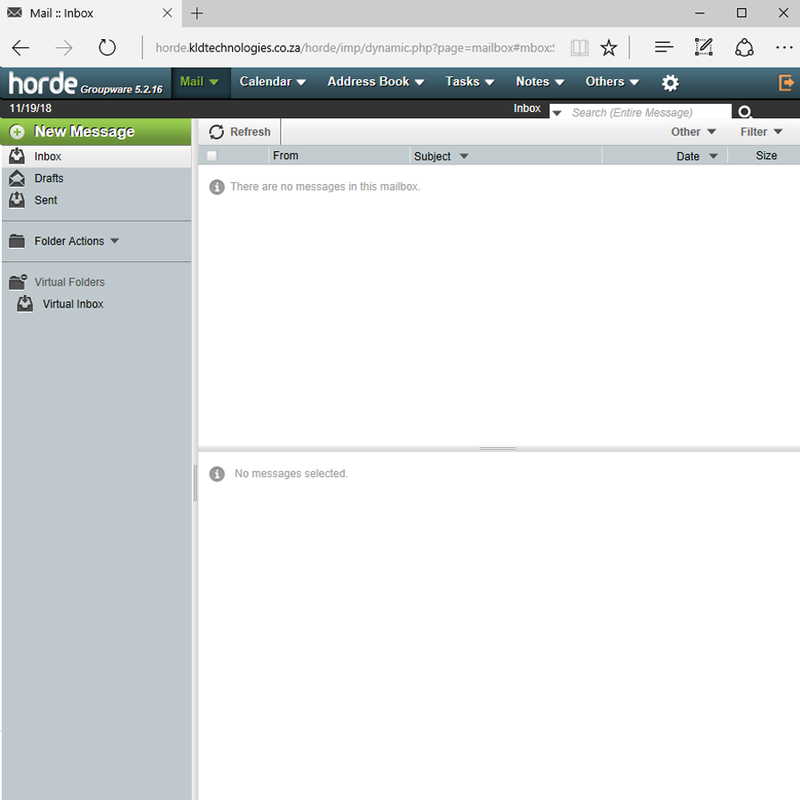 • Installation of IMAP, POP, Dovecot and Postfix. 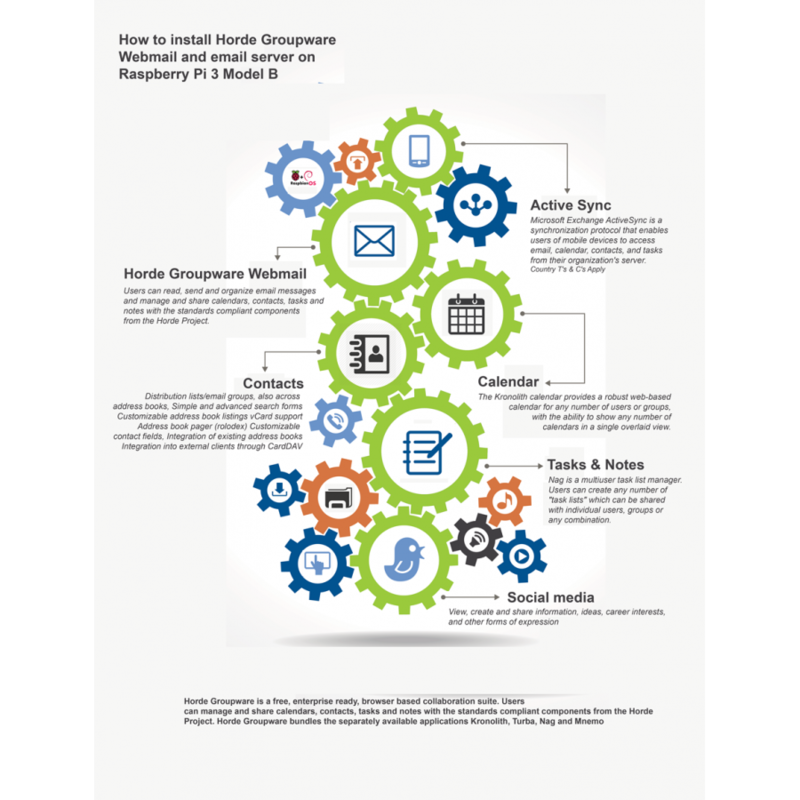 • 28 page pictorial and technically detailed "How to" guide, How to install Horde Groupware on Raspberry Pi. 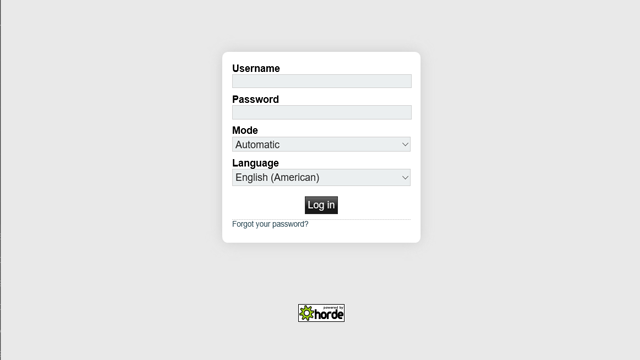 • Bonus tool download links included. Image Zip file contains Raspberry Pi 3 Model B compatible image with latest Raspbian Jessi..
eBook How to install Open Xchange Server on Raspberry Pi 3 is a 34 page eBook containing ..